1. The act of folding and securing an epistolary writing substrate (such as papyrus, parchment, or paper) to function as its own envelope or sending device. 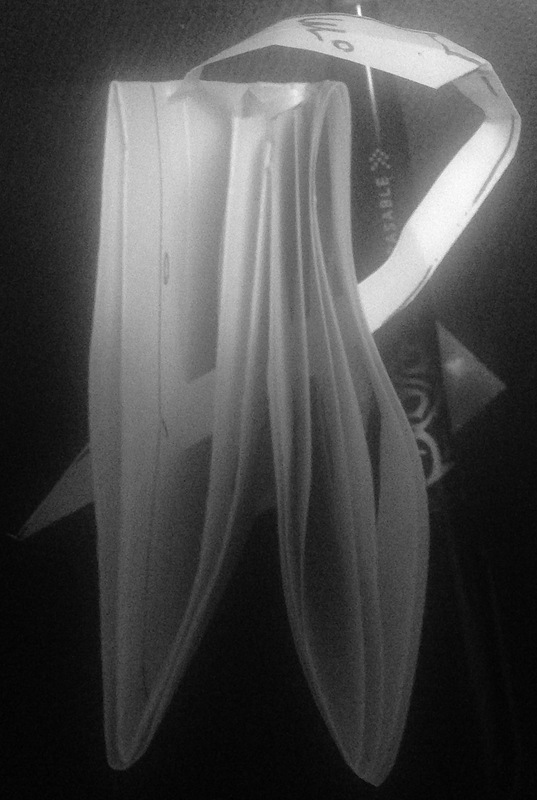 As distinct from the use of a wrapper or gummed envelope, and from origami, the art of paper folding. 2. A sub-category of a 10,000-year information security tradition, pertaining to epistolary materials. 3. The discipline which studies the materially engineered security and privacy of letters, both as a technology and a historically evolving tradition. Follow us on Instagram and Twitter @letterlocking. Check out the growing number of videos here. 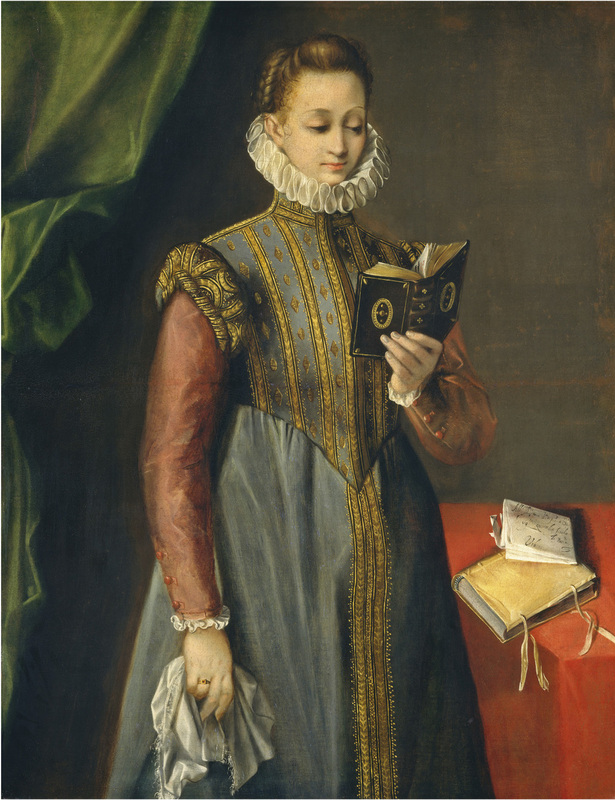 Additional resources: Daniel Starza Smith's The Material Features of Early Modern Letters: A Reader's Guide on the Bess of Hardwick's Letter's website. 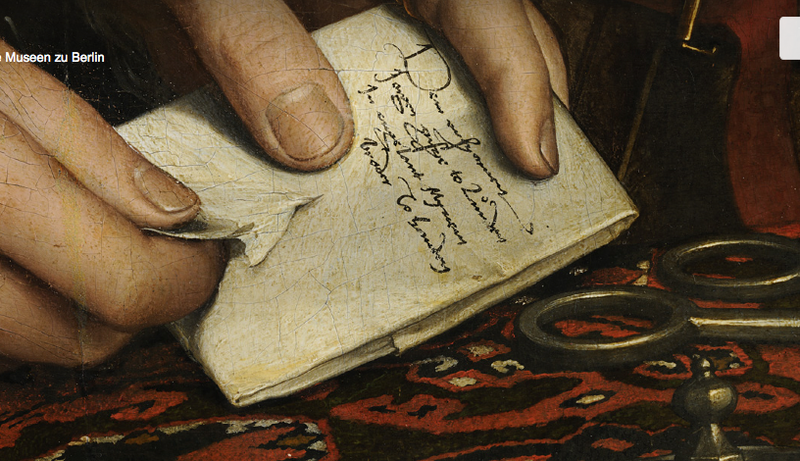 Letterlocking article by Jana Dambrogio Historical Letterlocking. Assumed model versions of various letterlocked documents from the 15th to the 20th centuries. The examination of well-preserved original manuscripts helps us to identify and "reverse-engineer" opened historic letters and documents to understand how they once became their own sending devices. Access to the originals is a requisite for this study. The conservation of original manuscripts—maintaining their folds, cut-off corners, slits, paper fragments, etc., —is vital to understanding the meaning behind the words. Letterlocking refers to the the timeless technology of folding & securing any object to function as its own enclosure. Letterlocking is part of a 10,000-year information security tradition. Opened originals of historic manuscripts are modeled allowing us to "reverse engineer" each format to figure out how they once functioned. All letterlocking closed formats are based on examination of well-preserved opened original manuscripts that retain their original locking components. Thank you to the many institutions for granting access to original manuscripts, a must for letterlocking research. This page is a work in progress. 1440. England. 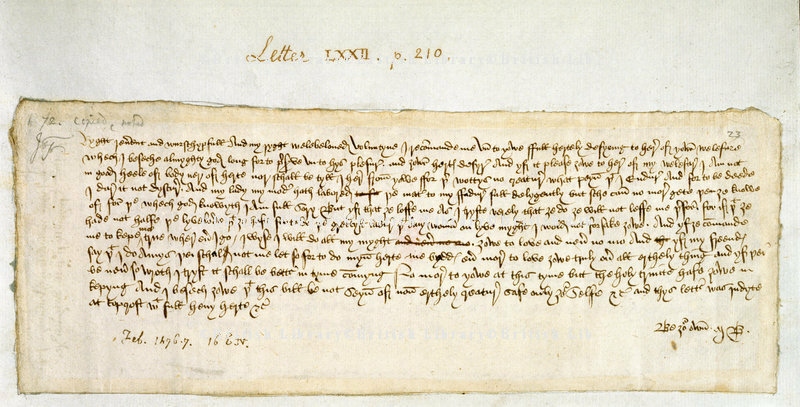 Paston Family Letters. British Library. Video: Hybrid, Tuck and Seal+Horizontal Stab w Triangle-Shaped Paper Lock. Italy. 1494. Modeled after a etter from Bosetrus? Bosuto? di Parona to Reverend Ambrosio 1494, Vatican Secret Archives, Record Group: Fondo Veneto, Sezione II, Container: N. 670, last letter in folder 3, San Girolamo di Vicenza, Instrumenti e Carte del Secolo XV. Open Dimensions: H: 272 mm x W: 224 mm. 1498-1499. Locked document later sewn into a fascicle. Italy. 1498-1499. Italy. Locked letter later sewn into a fascicle. Fondo Veneto, Sezione II, container #668. Vatican Secret Archives. 1498-1499. Italy. 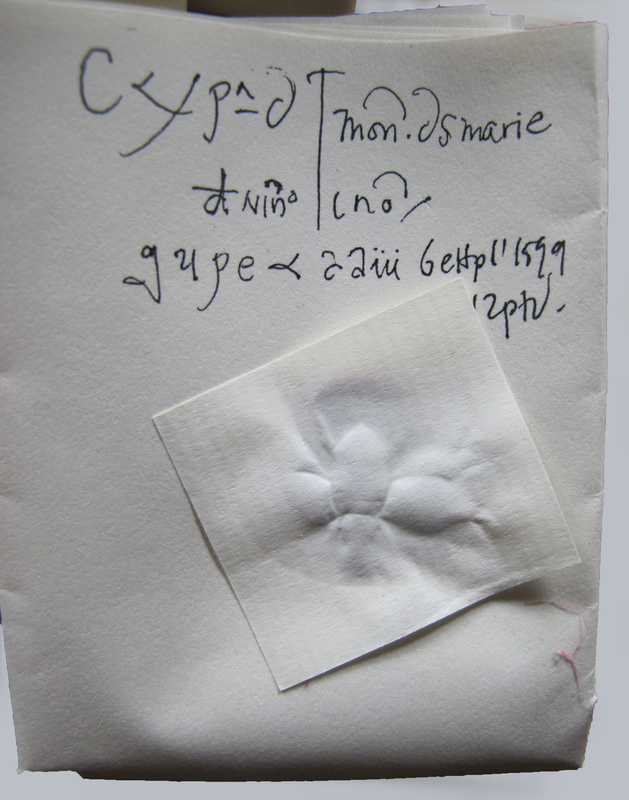 (un) locked letter later sewn into a fascicle. Vatican Secret Archives. Religious. Fondo Veneto, Sezione II, container #668. Order: Gesuati. Monastery: San Girolamo di Vicenza. Modeled after Vatican Secret Archive, Fondo Veneto II, 668, (one out of many items stored in this box). Gesuati, San. Girolami di Vicenza. 1498-99. (v.s.deest.) (v) Processo per la Villa dell'Acquagnolla. In its "first" stage, the document comprised of three bi-folios (3 papers folded in half). The document was folded in quarters, stabbed twice, and locked shut (I originally called these vampire stabs, but now this lock is called the "Two-part Lock since it has a narrow piece of paper laced through the stabs that travels in one slit and out the other of all the pages of the folded letter. Wax was placed over the tails of the laced band of paper and the diamond-shaped paper lock sandwiched the warm wax between the papers as the sealing matrix was impressed into layers securing the letter shut). In it "second" stage, at some point after the document was opened, it was sewn into a fascicle with reused parchment guards adding extra strength for the sewing threads to pass on the front cover and the inner fold of the section. The "third" addition to this record included a document inserted into the booklet (possibly to keep related subject matter together?) The inserted docuemnt does not have any stabs. The original dimensions are: H 322mm x W 222mm, inserted document: H 314mm x W 215mm. 1532. Fold + tuck + slit + lock–N + adhere (slit perpendicular to horizontal axis). 1532. Tuck and seal +paper lock with horizontal stab, England. 1578. Document folded and stored in textile bag. Italy. Modeled after Vatican Secret Archive Record Group, ASV, Fondo Veneto II, 876. Religious Order: Gesuati. Monastery: San Girolamo in Vicenza. Original dimensions, textile envelope: 203mm x 90 mm. Original dimensions, letter, opened: 311mm x 212mm. This is the only letter I have documented to date that appears to have once been stored (and sewn?) shut. 1580s-1590s, Nickname: Triangle-lock–YU (slit parallel to fore-edge) England & Europe. 1580s, Nickname: Triangle lock–YU (slit perpendicular to fore-edge), England & Italy. Triangle-shaped paper lock with horizontal stab. Built-in security features: High, with authentication components present. Movie: Detail, letter at the moment it is "unlocked"
Letterlocking. Arrest Warrant for Mary, Queen of Scots, England, 1584. 1580-1770s. Nickname: Pleated letters England and Europe. 1580s-1770s. "Pleated" Letter. England and Europe. Video: 1580s-1770s. "Pleated" letter. England and Europe. 1586. Fold + tuck + adhere. Nickname: Tuck and seal. England and Europe. Italy. 1586. August. Italy. "Tuck and Seal". Tomaso di Livieri to Padre asldkfjd in asdlkfjasdlk Gesuati religious order. Modeled after a letter sent from Tomaso di Levrieri to Gesuati priests, Monasteri di San Girolamo di Vicenza, 9 July 1589. Vatican Secret Archives, Fondo Veneto, Sezione II, #670, folder 3. 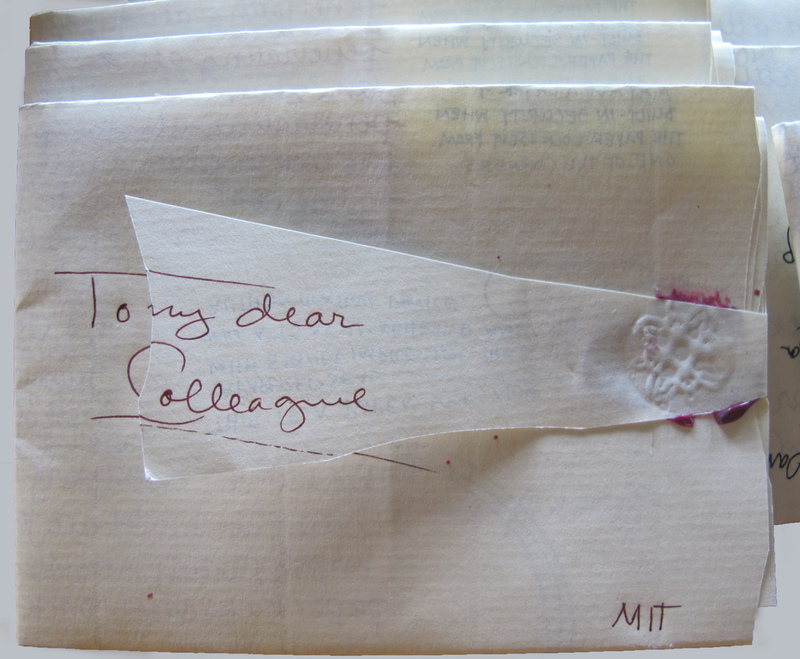 Letterlocking: Tuck and Seal, England and Europe. 1400s-onward. 1612. Nickname: Sword-lock-YU (slit parallel to fore-edge). Italy. Modelled after Vatican Secret Archive Record Group ASV Fondo Veneto II, 796, (one out of many items stored in this box). 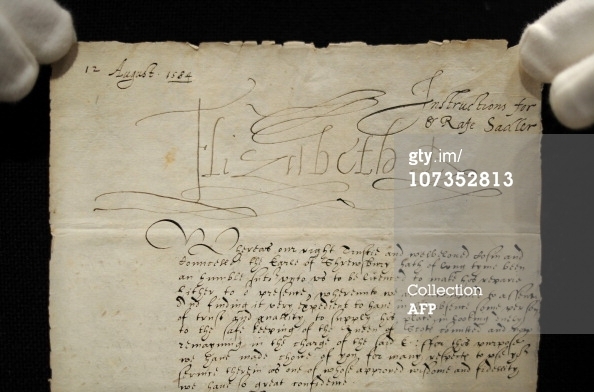 Letter from Pietro Sementi to reverend padre Daniele Rosa, Santa Maria dall Horto, Venezia, dated: 23 April 1613. This is the only letter I have documented to date where the long diamond-shaped paper lock is cut from the bottom two panels (not from a corner or the inside of a blank margin) to secure the letter shut. This falls into one of the most secure letterlocking format categories, category VII. 1600s. Nickname: Blank Margin Lock-YA. England, Italy, and Scotland. High built-in security. 1700s. Ceremonial letters from Spanish Kings and Queen to members of the Boncompagni Ludovisi Family, Rome, Italy. Spain. Two-Part Paper Lock, Yo El Rey, Spain. 1732. 1700s, Nickname: Removable Paper Lock–N, Letters from French Kings and Queen to members of the Boncompagni Ludovisi Family, Rome, Italy. 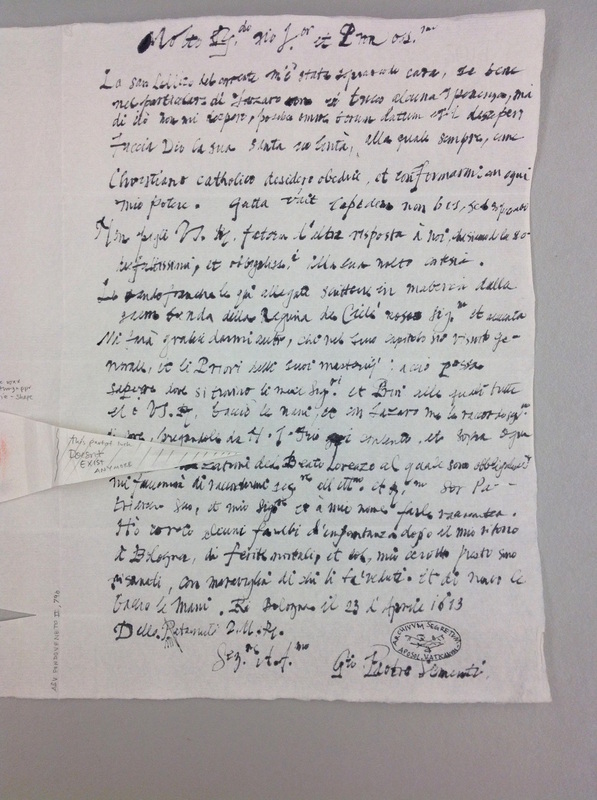 A letter from Marie Antoinette, Queen of France, to Cardinal Ignazio Boncompagni Ludovisi, Rome, Italy. 1782. Queen Marie Antoinette of France to Cardinal Ignazio Boncompagni Ludovisi, 1775. Queen Marie Antoinette of France to Cardinal Boncompagni Ludvisi, 1780. 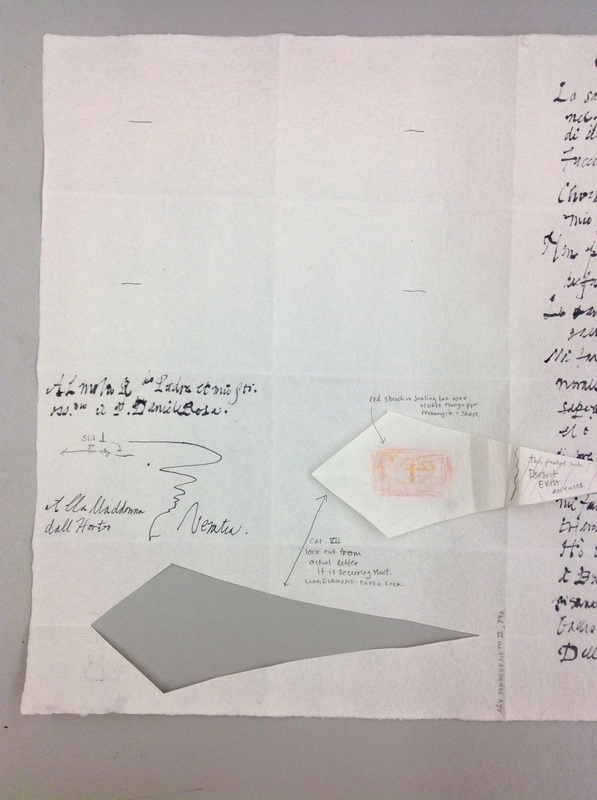 This letter is the only one from the cashes of French Royal letters found in 2010 by the Princess Rita Boncompagni Lodovisi that has its removable lock completely intact. Queen Marie Antoinette of France to Cardinal Ignazio Boncompagni Ludovisi, 1780. Click in image to link to PDF of publication. 1775. Nickname: Two-piece lock–N. Austria. 1775. Empress Maria Theresa to Cardinal Boncompagni Ludovisi. Austria. 1815. Fold + tuck + lock–N + adhere. (with kite-shaped removable lock). Ceremonial letter to the USA. Tunisia. 1812. Bey of Tunis. Ceremonial Letter from Bey XSS to the United States of America President. RG 59. National Archives and Records Administration. Modelled after a ceremonial letter sent in 1817 from the Bey (A.K.A. ruler) of Tunis Mahmud ibn Muhammad (1757- 1824). to the President or Secretary of State indicating that the Bey received the credentials of the then new consulate general. This letter is found in the National Archives and Records Administration, RG 59 Ceremonial Letters: Documents from Heads of Foreign States 1789-1909. ARC Identifier 302026. Letter from Ruler of Tunis, Mahmud ibn Muhammad (1757- 1824), dated 24 September 1817 to President James Madison (1751-1836) or the then Secretary of State James Monroe (1758- 1831) announcing that Consul Thomas D. Anderson (1848-1916) had formally presented his credentials to the Bey. 1940s. Fold + tuck. Russian soldier WWII triangle letters. 1940s. WWII Russian Soldier Triangle Letter. 2013. LucyMaySchofield. Letters of Triangles. The Russian Soldier WWII Triangle format was included in this study thanks to LucyMay Schofield's Contemporary Artists' Book. Russian manuscript letter: Courtesy of the MIT Libraries Wunsch Conservation Lab Historic Letterlocking Manuscript Study Collection. "Letters of Triangles" by Lucy May Schofield, 2013. Click on the images below to link to recorded video presentations, powerpoint slide presentations, or downloadable PDF's of publications. February 2015. Presentation. Unlocking the Secrets of John Donne's Letters. Speaker: Jana Dambrogio, Thomas F. Peterson (1957) Conservator, MIT Libraries, and Dr. Daniel Starza Smith, British Academy Post-Doctoral Fellow in English Literature and Oakeshott Junior Research Fellow, Lincoln College, University of Oxford. DECEMBER 2014. Presentation: Conservation Collaborations at the MIT Libraries. By: Jana Dambrogio, Thomas F. Peterson (1957) Conservator. Hosted by: Program on Information Science, MIT Libraries. OCTOBER 2014. Publication. 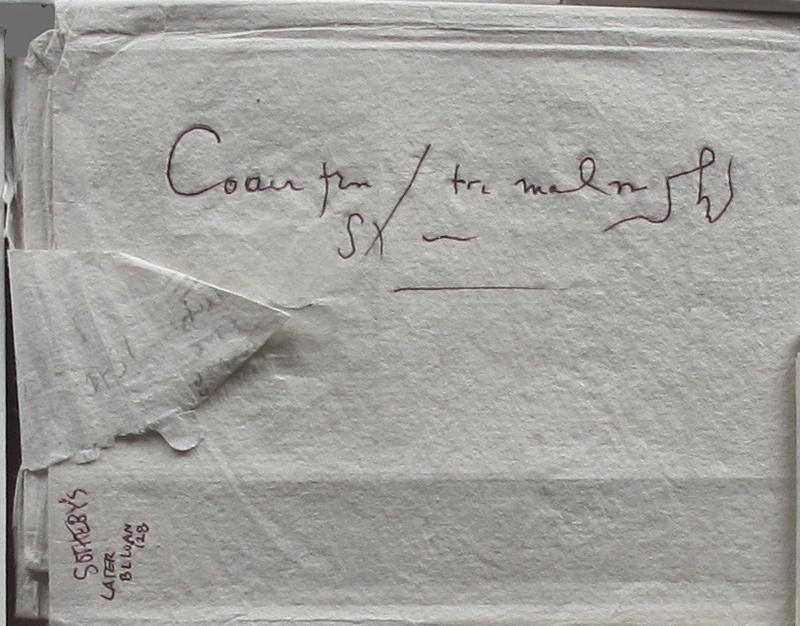 Historic Letterlocking: the Art and Security of Letterwriting. Marie Antoinette’s use of removable locks in 18th-century France. In the Canadian Bookbinders Book Artist Guild Journal Book Arts arts du livre Canada. 2014 vol.5 no.2, 21-23. April 2014. Presentation. 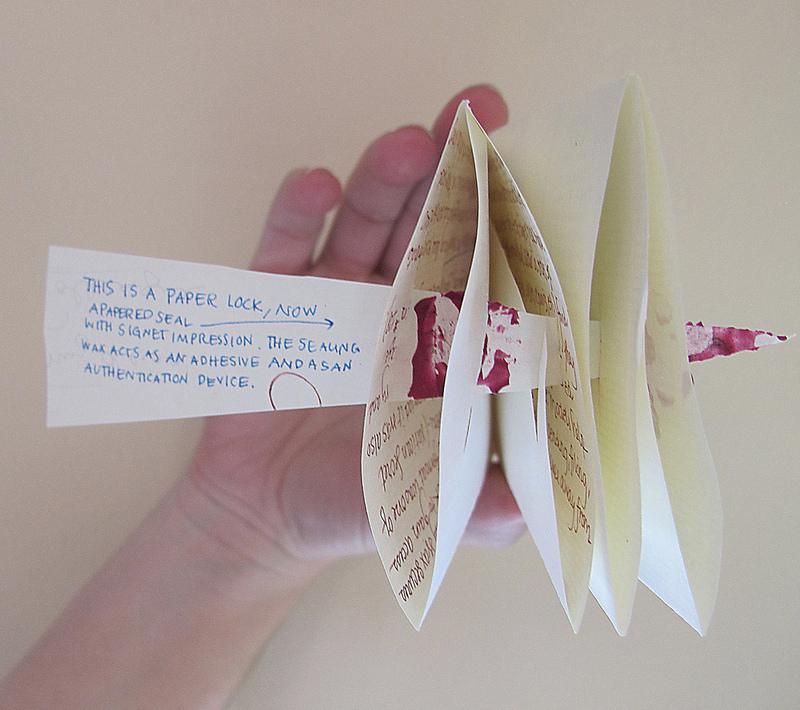 Historic Letterlocking: The Art and Security of Letterwriting. Preservation Week Talks at MIT: The Art and Science of Document Security: Past, Present, and Future. Jana Dambrogio, Thomas F. Peterson (1957) Conservator, MIT Libraries Curation and Preservation Services. Jana Dambrogio, Senior Conservator, Document Conservation Division, National Archives and Records Administration. Welcoming Remarks by AUTOS David Ferriero and Mary Lynn Ritzenthaler, Chief, Document Conservation Divistion. The Historic Folding and Letterlocking Techniques, 1776-1868 presentation begins at minute 8:07. National Archives and Records Administration, Washington, D.C.